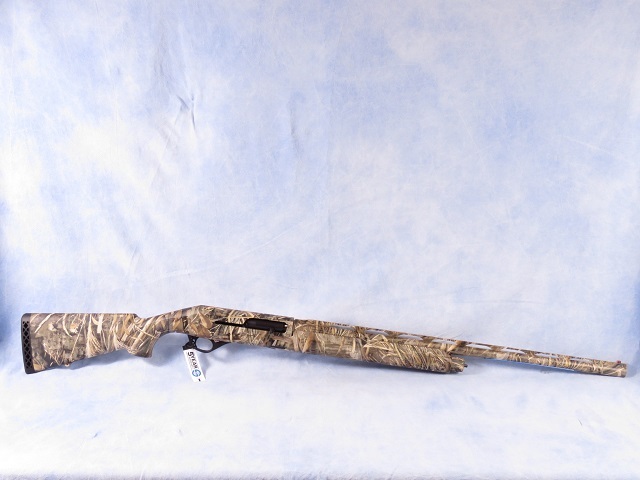 Stoeger model M3500 semi-auto shotgun chambered in 12 GA. This self-loader features a 28" barrel, Max-5 camo pattern, Benelli's patended Inertia Drive system and accepts up to 3.5" shells. Includes 4 choke tubes. The Stoeger M3500 shotgun is a perfect choice for game birds. It features only 3 moving parts in the bolt, a drilled and tapped receiver, and a barrel fitted with ventilated, stepped rib, fiber-optic front sight.